Dr. Redwood-Campbell has research and scholarly interests in the areas of global health, immigrant/refugee health and humanitarian response. After completing her medical degree (MD) and residency, she earned a Diploma in Tropical Medicine and Hygiene from The London School of Tropical Medicine and Hygiene, (UK). She also completed her Masters in Public Health (International Health) at Johns Hopkins Bloomberg School of Public Health and was elected into the Delta Omega Honorary Society in the USA. Dr. Redwood-Campbell has worked in many resource-poor countries. Some examples include Indonesia, Pakistan, Rwanda, DRC (Congo), Kenya, Honduras, Bangladesh, Haiti, the Philippines and Nepal. She worked with the ICRC Red Cross field hospital in Banda Aceh, Indonesia after the December 2004 Tsunami. She responded to the Kashmir 2005 earthquake in Pakistan, the 2010 Haiti earthquake and cholera outbreak, the 2014 Philippines typhoon and the 2015 earthquake in Nepal. She is now working together with the University of Syiah Kuala and the Rotary Clubs to build capacity in Health Human resources and Family Medicine in Banda Aceh, Indonesia. Her research has included immigrant woman’s barriers to cervical cancer screening, the health of the Kosovars and immigrants in Canada, HIV/AIDS in the Caribbean, health issues of the post Tsunami survivors and the ethics of humanitarian health care work. 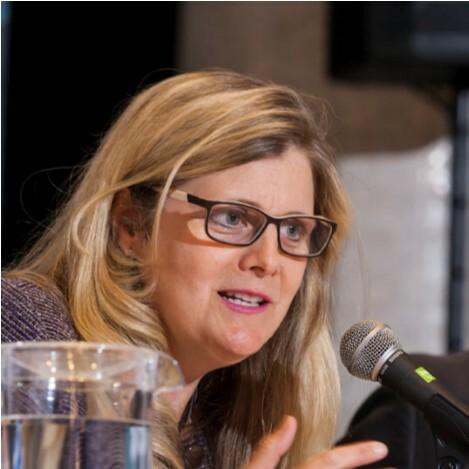 She is past Chair of the Global Health Committee at the Canadian College of Family Physicians, and the past co-chair of the Global Health Group at the Association of Faculties of Medicine. She is on the international editorial board of the Prehospital and Disaster Medicine (PDM) Journal and a previous board member, International Women and Children’s Network, McMaster University, Canada. Dr. Redwood-Campbell acted as a consultant to the WHO, Health Action in Crisis cluster during her sabbatical time 2008-09. Her interest is how to integrate Primary Health Care (including equity and social justice concepts) into disaster preparedness and response in policy and in reality, particularly in low income countries where the most vulnerable are most affected. She was part of the initial meeting team in Havana Cuba to develop the Foreign Medical Team (FMT) concept that lead to a more formal method of transparency for foreign medical teams when responding to international disasters. Dr. Redwood-Campbell has a clinical medical practice at McMaster University (Canada) at the McMaster Family Practice in Hamilton, Canada where she teaches and provides a range of primary care Family Medicine services. She is also an active member of the Canadian Red Cross International Emergency Response Unit (ERU) team.